To see and to do. Wish you were here with me. The food, the music, the shows. I know what I’ll find is at home. Pardon me now – off to London and Rome. 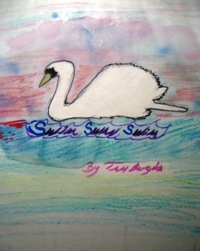 This entry was posted in Characters and tagged characters, poem, Swim swan swim, tennyson.